This looks like a simple dress, but there is a bit of extra detail in the line drawing that isn’t apparent in either of the photographs. The overall silhouette is rather basic, but, I like it. It seems really practical for summer and like it would be great to use with a splashy summer print. Plus, pockets! Love this dress! The model photo is terrible to see details, but the strap design looks fabulous in the garment photo. This one is definitely going on my sewing wish list. This maxi looks very much like the Burda Pluss dress from the May issue. To be fair, there isn’t much new about a maxi dress with bishop sleeves, but Burda has totally sold me on the styling here. I totally want to have this sort of a summer life. In contrast, I think the design of the top of this dress is beautiful, but I’m less than impressed by the rust brown fabric and overexposed photos. I’m thinking I might modify this into having a bit more of a train, because I’m picturing a super dramatic evening gown rather than, well, whatever vibe Burda was trying to pull off here. When I look at the line drawing, I’m like naw, but the garment and model photos are sort of winning me over. It’s probably not one of the first things I’d pull from the pattern sheets, but I like it more than I was expecting. I’m usually anti-sack dresses, but for some reason this tunic dress is sort of intriguing to me. I really like the details of the collar, and the overall proportions are pretty nice. Love this! It’s not the first time Burda’s done an asymmetric fitted jacket, but I really love the fit, lines, and styling for both versions here. Plus, I love me a good 3/4 sleeve. The line drawing and model photo aren’t doing much for me, but I really like the way this vest looks in the garment photo. I’m sort of envisioning lengthening it into a duster perhaps? I’ve been seeing loose flowing duster vests all over and I’m really digging the vibe this year for some reason. Is this bodysuit signaling the comeback of the twist top? I hope so… I like that style. Anyway, I’m not sure the desirability of a long sleeved body suit in the middle of summer. but it would be easy enough to shorten the sleeves here. Ah, I love the top even more than the dress! It’s finny because the line drawing looks so short, but the proportions on the model look great. Plus, I’m a sucker for the crazy fun bright print, so that isn’t hurting my opinion of this top either. I love this top too! It’s super simple, but it is the sort of top I’d wear all summer long. I love that they show it in a sequin and in a print – I’d totally make it in both fabrics, and wear them to death for summer events. I like this tunic top too – the style lines are great, and it’d be lovely in a nice cotton or linen. This isn’t my favorite top in the release, but I do like how Burda is hinting at the crazy ruffle trend, but hasn’t gone too over the top with it. The ruffle trend continues, but I like the trim detail on the sleeves. For some reason the McButVogue ruffle tops have felt so crazy over the top, but this top feels much more wearable and stylish. On trend, but not overly done. I like this jumpsuit. It’s definitely a very casual wearable look, but it’s got enough detail to avoid looking like daytime pajamas. It’d be wonderful in a nice lightweight linen. I like these super drapey culottes, but I’m always a sucker for a wide-legged pant. Might be on the verge of being a bit too wide, but in a nice swooshy fabric it could be a fun addition to the summer wardrobe. I’m kind of obsessed with this half skirt shorts pattern. It’s similar to the recent McCall’s jumpsuit release, but I like Burda’s proportions of this style a bit more. Plus, this is going to be the detailed instruction pattern this month, which means it should be a bit easier to put together. And, if you want regular shorts, this pattern is pretty nice! It has a side zip, which is great if you want to avoid a fly front closure. I’m not really much of a fan of button front skirts, but I do like the way Burda has styled it here. This version is a bit girly for me, but I do like the use of lace trim to add interest here. The print blocked dress is a bit much, but the subtle combination of blacks is a really interesting style without being too over the top. This is a pretty simple dress, but I bet it would quickly become a wardrobe favorite in the summer. I love the tunic version even more! It’s so cute in this awesome stripe. I’m not as impressed with this ruffle neck top (can’t help but thinking of it as a clown collar), but I do like the ay the boarder print was used. I do like this diagonal skirt. Could be a fun way to mix fabrics and play with details on the swirling seam lines. Ah, I love this! That back shot is everything. I suppose it could read as slightly bathrobe-y, but I see it more as a lightweight jacket cover up like the striped version. Also, the changing scale of the stripes on that fabric is divine. Pretty straightforward button up top. Not much to say, but could be good if you are looking for a super relaxed fit. Something about the fit of these trousers is a bit off for me. Perhaps the pockets look a bit big and too low? Not my favorite pair of men’s pants from Burda, but, it is nice to see more mens patterns in the magazines. I’m not sure about the practicality of these, but I do love the embroidery detail on the little tunic and the overall summer vacation vibe that these clothes give off. Mint green strapy sheath dress! I love how this style could easily go from a beachy vacation to a summer wedding. It feels super versatile, while still having interesting details. The clown collar tunic. (I saw it, and now I can’t un-see it.) Honestly, this top really isn’t that bad – a simple removal of the ruffles makes it quite serviceable. But there really isn’t anything else in this issue that comes close (well, perhaps the Burda Plus print blocked dress, but the black version is really quite interesting, so it was saved from this distinction), so sadly this pattern has the unfortunate distinction of getting the low mark from me. And there we have it! Another month in the books. I have to admit that while there isn’t really anything in this issue that has me obsessively pawing through the stash because I need it immediately, I think this is going to be one of those great stash issues – there are so many wearable separates here that this issue is bound to get used at some point. What do you all think? Are you excited to get summer staples in this issue? Or is everything just a little too ordinary to be of interest? What are your top and bottom looks from the June BurdaStyle? Which trends are you excited for this summer? Feel free to discuss in the comments! McButVogue?? 😂😄 Sounds like a new cheeseburger. I was worried when I read you weren’t happy about this issue, but gosh I’m excited. I love nearly all the tops! As there are no pattern numbers I don’t know the best way to point them out, but regardless, there are some nice summer things here. And wearable! The shorts look interesting too, might try a pair if time permits. As we are planning a vacation in a warmer part of the continent this year, it’s really motivating to see some of these patterns that would be just perfect for that. Your Best of BS for June is great, the line drawing looks so interesting. Terrible photo though, crazy they actually published that. Thanks for posting this! Can’t wait for the issue. 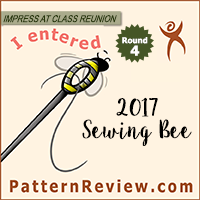 Lots of cool (literally) patterns for June! I know! It’s the sort of issue that is growing on me. Like, the more I look the more I want everything! I am more excited about this issue of Burda than you are, I even like the clown top! Even with the ruffles! Surprised myself. I think I like it because it is unexpected and is just trendy enough. I totally agree with you about Burda’s use of ruffles vs McButtVogue. Much more restrained and stylish, also Burda doesn’t follow that if there is a seam, put a ruffle in it or on it. ooo! i think i would modify that one shoulder, rust brown dress as well. but i would extend the shoulder strap into a long trailing scarf, probably at least calf-length. i guess that would mean i would have to change the strap as well, so that it would anchor the dress and have the chiffon part be decorative. OR! what if there was some sort of pretty jeweled brooch or embroidered piece to anchor the strap at the back bodice, then the trailing scarf would flow out from there. oh, i like that even more, i think. I left this one in the store, because either not-my-life or boring. But you are right, seeing it again makes me rethink it. The tops are elevated basics. I like the Tunic-Top especially and the interesting sleeveless blouse. Those and the shorts could make a nice holiday capsule. That’s so how I felt! It went from “meh” to yes please the more I looked at it. Gosh I absolutely love those 2 gathered skirts!! This issue, while being an interesting and somewhat practical, has more chances to turn into “my educational” issue: idea’s, styling, aesthetics. My fav look is plus black dress (coming from plus gal). The tops are growing on me. The clown-collared blouse might look better had model had a different haircut IMHO. The bodysuit has a lot of fabric in the twist area and I suspect that a ventilation, which one will need at summer temperatures, will be next to zero and thus this is my least fav design. 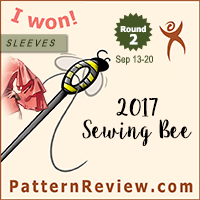 Thanks for posting and happy sewing! Lots of really nice items. I often find the ‘wow’ editions might be ‘wow’ – but would I really have the occasion to wear them? Viz the stunning evening dresses, the wedding dresses…and, well, dresses period. Give me practical versatile designs every time. I don’t understand why the one shoulder dress and top are four dots even after reading the instructions for them. Fiddly, yes, but it’s not like making a tailored jacket where everything has to be perfect. What am I missing? Yeah I was surprised by a lot of the ratings as well. So interesting to read the comments here! This is the issue of the year so far for me even though I often find the summer issues a bit blah. It’s easier to pick out the things I don’t like – the ruffly skirt and the empire tunic dress, largely because they would both look awful on me. This may even be the issue that gets me to try jumpsuits, culottes and wide pants!! Love your reviews and you sometimes make me look different to the patterns. I bought this June issue because of the simple tops and the jacket. But now I’m in love with the dresses too. Only the long coat still looks like a bathrobe to me..(though a nice one with stripes). Thank you!